Cut. Color. Confidence. 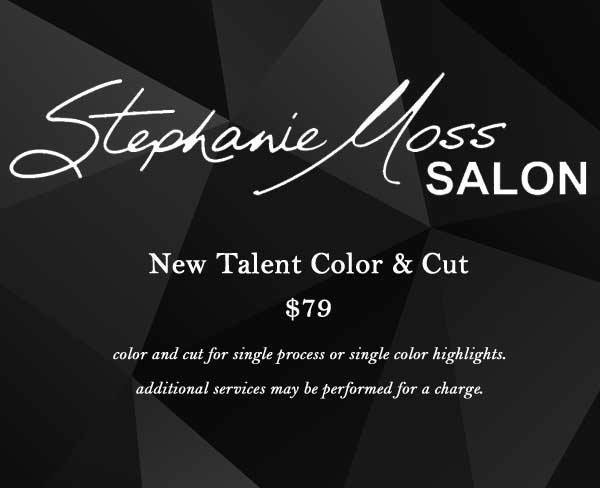 That’s just the beginning of your experience at Stephanie Moss. As Omaha’s premier salon—recognized nationwide—this is service on the highest tier. An exhilarating getaway that leaves you walking taller and turning heads. We’re a team of top talent, and we’re ready to bring out your best looks the moment you enter. any retail products purchased that day! Out of pure love for our clients, the Stephanie Moss VIP program was born. Enjoy private parties at our salon, special offers on services, discounts from our monthly sponsors and more. It’s VIP with some added XOXO. Get in on this new, exciting trend. Our fully licensed technician Samantha is now open to new consultations. Get dramatic, natural looking eye brows that last! Follow the link to learn if microblading is something you’d like to consider. cuts and all things fashionable. © 2016 Stephanie Moss Salon.